There have been many little and large busy fingers this week, in snatched moments. First, last Tuesday, Miss R and I had the greatest fun throwing together a frock in my favourite super-fast pattern using lovely fabric Ms D — one of my lovely Monday Night Quilting friends — so kindly brought back from a holiday in Thaïland. This is the best sort of holiday souvenir! So thoughtful. Miss R helped with pinning and cutting out the pattern, and sewed all the longer seams on the machine by herself (I must try not to hover so much…). We were going to hem the bottom, but then decided that the raggedy edge was rather fun. I then washed it and the colour ran and ran and ran, so I hope it didn’t also shrink horribly. Yes, I know, I should have washed it before sewing but it was so fun to do it right there. Some fabric just calls out for attention. It came with a lovely bright bundle of ribbon. We used a tiny piece on the back. I love the detail! Then, yesterday night was Monday. So after a busy day, I met up with the lovely Monday ladies, supplied by Ms D’s tea and cake, and all our busy fingers stitched away while we exchanged the latest news. Ms D, wise white witch that she is, did much to ease our fizzing minds with her wisdom, magic cards and aura of calm. Or were we just high on tea? I feel that I have made reasonable progress on my pink hexies in the past week: slow but steady. 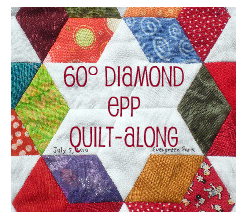 So I am happy to link up, one day late, with Life Under Quilt‘s linky party. I am finding this weekly reunion so energising! It’s such fun to connect around the world, united in some sort of communion of process. I was finally able to go back to the shop in Geneva to buy more pink fabric for putting around my ‘flowers’. This time, I found it open, with three welcoming ladies, free tea and even cake on offer that morning. There is hope for the place. Hurray! This city needs a fun place to meet. 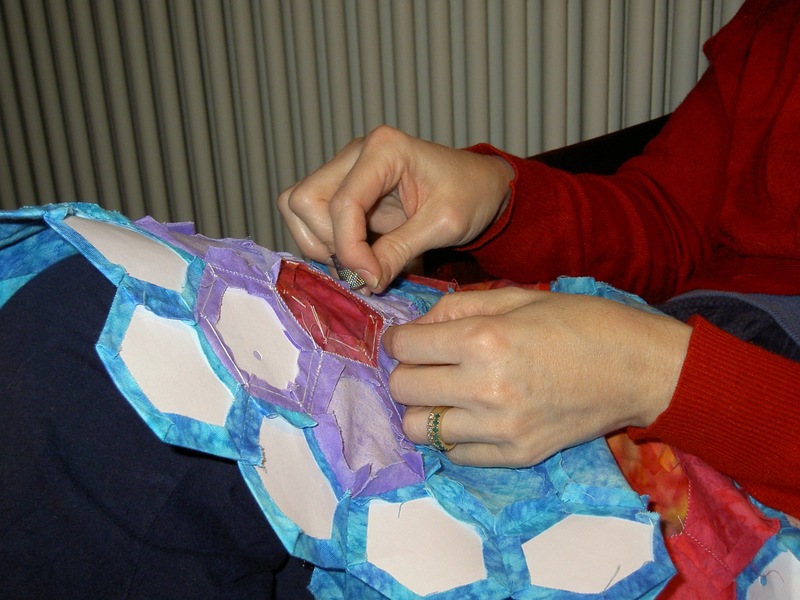 While I was working on my paper piecing last night, Ms E was stitching her flowers-floating-on-water hexies. It is growing beautifully. Here she is in full flow, taking out basting stitches. She also sold me some more clever glue, so I can continue my glue-sniffing addiction rather than hand-basting my paper piecing. Yay! 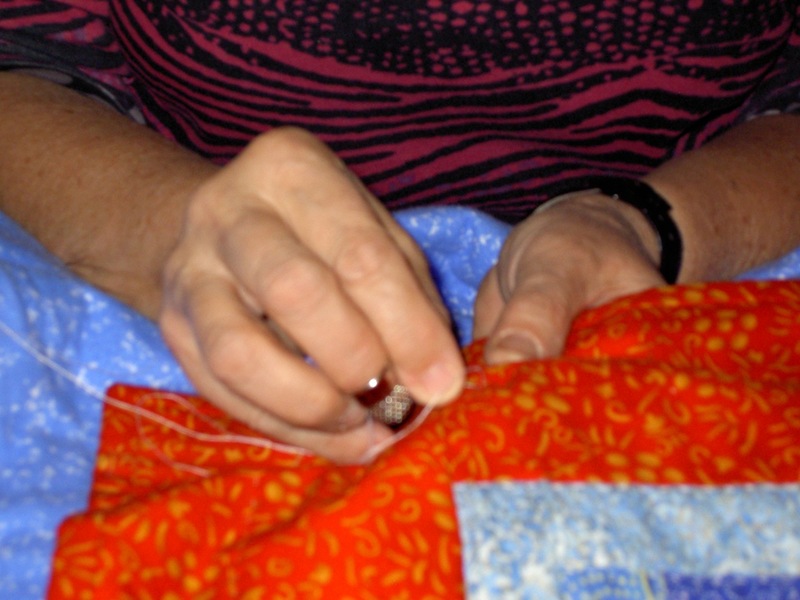 Meanwhile, Ms D was finishing the quilting on a lovely quilt for her grandson. She’s the queen of hand quilting, spreading calm wisdom and merry chuckles all evening. And while we stitched, and chatted on one end of town, the rest of my family spent a quiet evening. Other hands, doing other things. 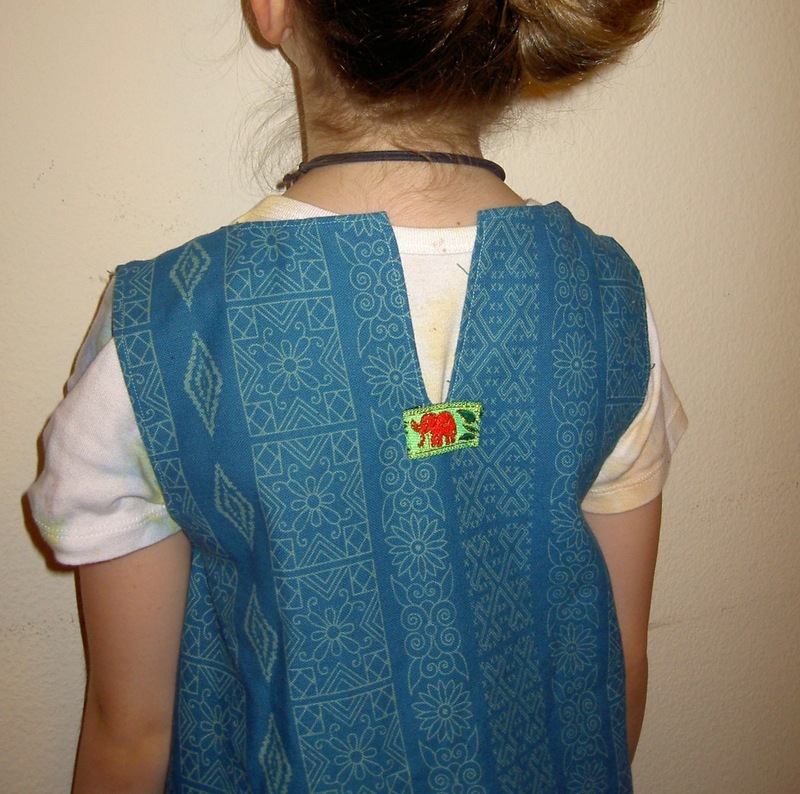 This entry was posted in Uncategorized and tagged child dress, handpiecing, Hexies, Monday morning star count. Bookmark the permalink. I like to see folks doing things together…doesn’t happen often enough, as far as I’m concerned. 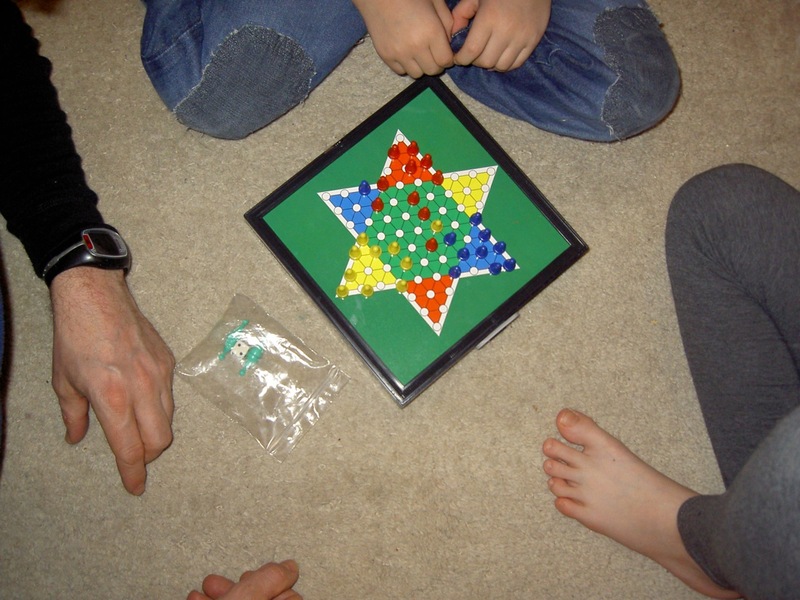 I treasure my quilt friends and my game (Scrabble) friends! Nice to see it all together this week. Keep up the great progress! Headless zebra bag! Love it! Well done you. The Thai fabric and the dress are wonderful! 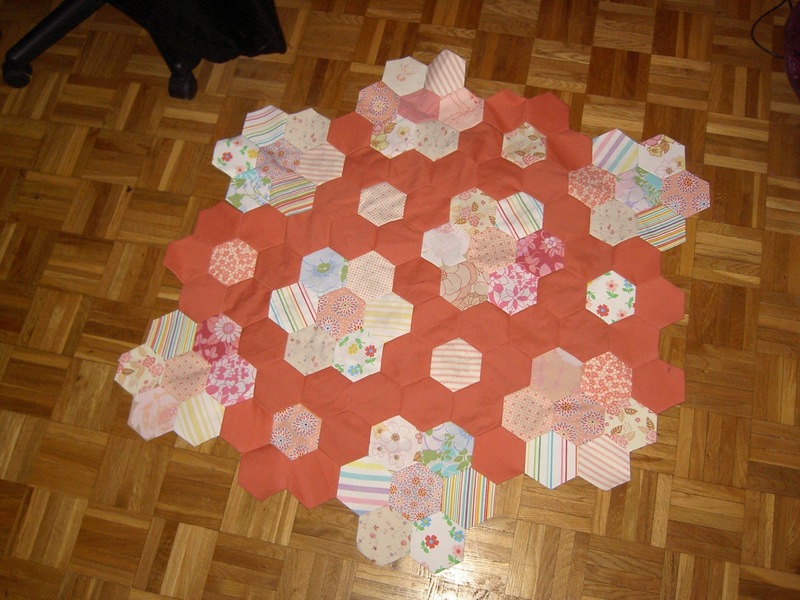 Great progress on the hexies. 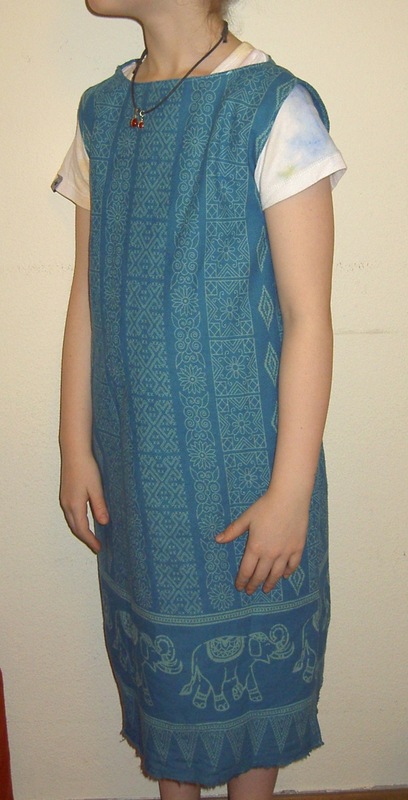 Beautiful dress fabric and shown off well in that simple pattern!